My thoughts on “Yume no Hate Made mo”, the first single from SAKA-SAMA. No one has really complained about it or anything, but there would definitely be a case for saying that my reviews lack variety in regards to the groups I cover. I don’t particularly go out of my way to not write about certain groups but I do this thing for fun so I try to at least focus on the things that I think could be interesting. That’s why when a group like SAKA-SAMA (or Dots, Candye♡Syrup, etc) comes along it makes me happy because I get to add a bit more variety to both the site and my writing. 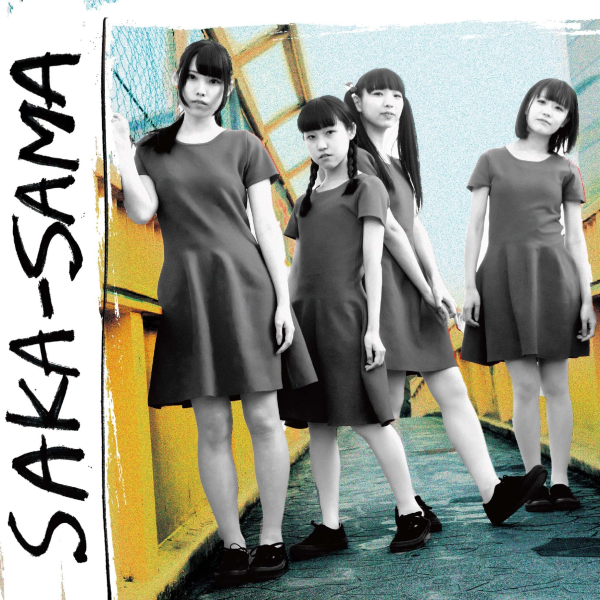 So, SAKA-SAMA are a somewhat new group who have been around for a year and a bit maybe. They’re currently signed to Trash-Up!! Records who also manage Dots so that’s mostly how I found out about them. Their Twitter stated that they’re a “Lo-Fi Dream Pop Idol group” and if you’ve read any of my non-Idol roundups then you’ll know that I’m a bit of a Dream Pop fan. Combine that with an Idol group and we should be onto a winner with this one right? Well, this is one of those times where I can genuinely say I have no idea what I’m about to listen to and then write about. I’ve honestly maybe seen one SAKA-SAMA video ever and even then my memory of that is pretty hazy. I just saw they had a CD coming out and hit the buy button on Amazon Japan on impulse. Hopefully I’m going to enjoy what I hear but even on the off-chance that I don’t, this should be a fun little experience for me. Let’s all learn about SAKA-SAMA’s new release together shall we? We begin our journey into the land of dreams with “Party・Party” and things get off to a rather unexpected start. Now, far be it from me to be the one to define what is or isn’t a Dream Pop song but this type of thing isn’t what I typically think of when I throw the term around. It’s certainly very Lo-Fi so that part is true at least, but I’d say the instrumental is more Glitch or Trap based than anything. It’s still very enjoyable though so don’t think I’m complaining too much here. Vocally I wouldn’t say there’s too much “real” singing going on, the song instead opts for a more spoken word style delivery and a chorus that sounds more like just a repeating selection of phonetics over and over. Perhaps not the start to this single that I was expecting, but I’m certainly intrigued to hear what’s next. Well, I did rather dive into SAKA-SAMA’s music with that first song so now I guess it’s time to go “Swimming”. Maybe one day I’ll grow out of these terrible jokes, but not today. Once again my ears are greeted by an instrumental that isn’t what I would consider Dream Pop or really all that Lo-Fi either. It’s a pretty cool Future Bass composition though so once again who am I to complain really? There’s a lot more actual singing on this track and I guess you could maybe say it’s in somewhat of a Dream Pop style. The cleanness of SAKA-SAMA’s vocals set against the “dirty” bass of the instrumental works out pretty well here although I’m not sure about the I’m assuming sampled English vocals. It sort of made it feel like SAKA-SAMA were guesting on someone else’s song. I still like it though, even if there isn’t much Dream Pop in sight so far. Okay, I officially have no idea what’s going on now. “Nezumi no Seikatsu” comes on and I guess it’s an acoustic ballad of sorts? Do I even detect a hint of a Country twang to the guitar too? Don’t get me wrong, I quite like how cheerful and carefree the instrumental is but yeah…not really hearing the Dream Pop or the Lo-Fi aspect for that matter. Vocally things are very clean and you get to hear all of the members of SAKA-SAMA do their thing without much in the way of smoke and mirrors. For me it was a bit too high pitched but I think by most peoples’ standards everyone sings quite well. This definitely isn’t the type of song I would actively seek out to listen to and it’s not exactly going to blow your hair back but it’s decent enough for what it is. “Yume no Hate Made mo” is the track that this single is named after and I’m honestly not really sure what to say about it. It really is just 6 minutes and 36 seconds of talking/poetry/whatever. 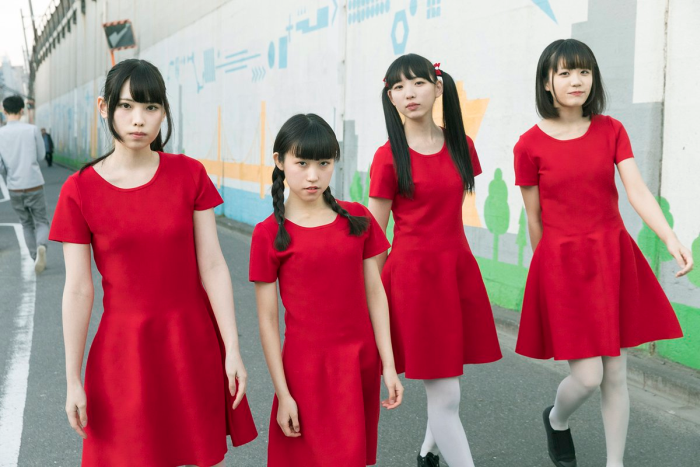 There’s no music to accompany any of it so it’s not even like the kind of thing Maison book girl do on all of their releases. I’m sure whatever they’re talking about is perfectly fine and maybe even interesting but if you haven’t brushed up on your Japanese lately then the majority of it is going to be lost on you. I don’t want to be too harsh on it or anything but yeah, not too much to sink your teeth into on this one. Even some soft background music would have gone a long way to spicing things up a bit but it is what it is. We close things out with “Owari Kara”, which is actually a song thankfully. It’s also much more in line with what I would personally consider to be a Dream Pop song. Ethereal synthesizers coupled with some slightly fuzzed guitar is more the kind of thing I was expecting coming into this review so I’m glad that it showed up at last. On the vocal side, things also matched up to my initial expectations. That being bright, wispy vocals that make for a very relaxed mood. That’s what Dream Pop is to me personally, music that’s great to chill out to but with just a tiny bit of distortion to cut through all of it and keep things interesting. I got all of the things that I wanted in this song so it should probably come as no surprise that it’s my favorite from this particular release. Well, that definitely didn’t turn out like I expected it to. Perhaps I need to update my personal definition of Dream Pop, someone let me know in the comments or something. What I did hear was still pretty good/interesting though so I’m not that disappointed. Well, I could have done without the 6 minute poetry reading but what can you do. “Owari Kara” was a welcomed personal highlight also, and I feel like MIGMA SHELTER fans might enjoy the first too songs quite a bit. I’m actually somewhat intrigued by SAKA-SAMA now, even if I didn’t really get what I thought was being advertised initially. They seem to be painting with some pretty broad brush strokes so hearing what they produce next will hopefully be interesting. This release wasn’t totally my cup of tea but there were certainly several enjoyable moments over the course of its 5 tracks.